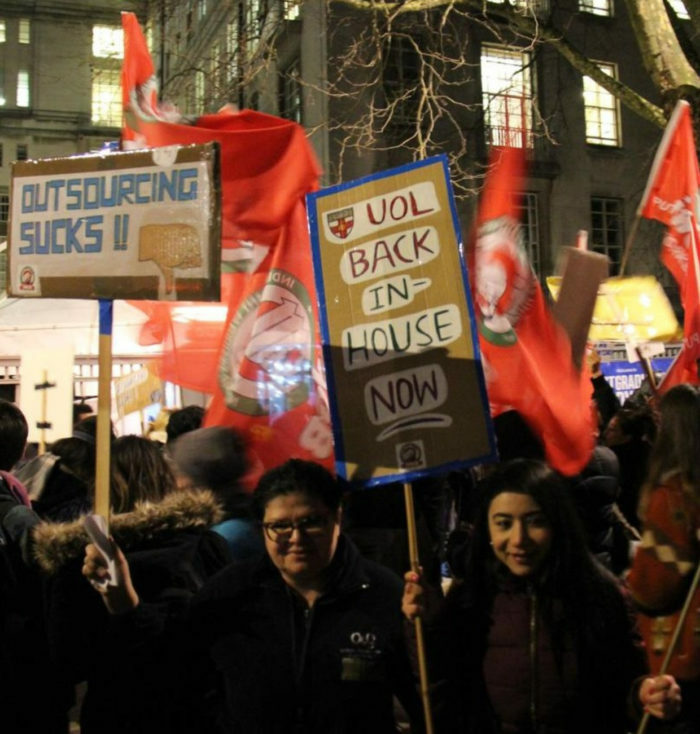 Over 100 University of London cleaners, porters, security officers, gardeners and others are preparing for the biggest-ever outsourced workers strike in UK higher education, and they need your help. These workers, who are demanding for an end to outsourcing, an end to zero-hours and for pay rises, are close to a historic victory that could end years of discrimination at the university. After a near-unanimous ballot in favour of strike action, the IWGB has announced strikes for 25 and 26 April. But sadly, for these workers going on strike means that they lose out on two days’ pay. That’s why we need your help. Your donation will allow them to be compensated for some of the pay they are docked for standing-up for equality at work. No worker should be put in the position of having to decide between standing up for their rights and feeding their family. After an incredible outpouring of generosity, we are nearly half way to our £10,000 target! With your help we will be able to ensure that the workers are properly compensated for the pay they miss out on. This generosity is in sharp contrast with University of London management’s attempts to divide the outsourced workers fighting for equality and UCU members fighting to save their pensions. In what can only be interpreted as a cynical strategy of divide and rule, the university blamed its delays in bringing outsourced workers in-house on the UCU strike! You can read their message and our response here. We will not allow the university to further divide the workforce. We stand united! Please donate and share this crowdfund, and help us tear down the divisions created by misguided university management.